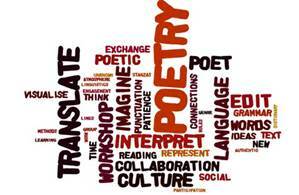 Editor Alan Tristram reports there’s been a last-minute cascade of words for the brand-new KIN poetry competition. And over the next few days, the literary panel will read all the entries with care, then go into conclave to choose the winner. Next, the winner will be announced in KIN. A little later she or he will be presented with a prize of $50 worth of book tokens ( donated by the Tristrams and Gill Ward), plus the special ‘Book of the Month’ prize chosen by Kaye and Rob Clarke, of Coastlands Paper Plus. The presentation will take place at Coastlands Paper Plus, home of good books. It’s KIN’s policy to encourage all poets and writers. So don’t worry if you missed out on the inaugural competition for July — the next monthly competition starts tomorrow, August the 1!